This car may look very familiar to many of you, and is certainly one that club members and fans have come to know and love. 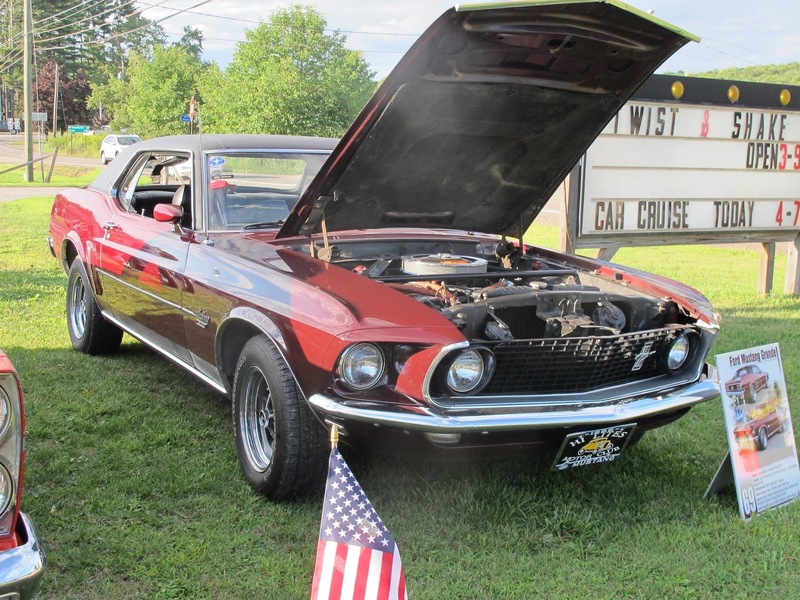 This beauty, a 1969 Mustang Grande was owned by one of our most senior members, Jack Judge. Unfortunately, the club and the world lost a wonderful man and a great friend last week as Jack passed away due to medical complications. Many of you may know Jack as he has been to just about every event Hi-Lites event for the past 10 or more years. Many times Jack would not bring his car but rather let others in the club bring theirs as he would take it upon himself to haul the club trailer to the events. That's just the type of guy Jack was. Jack served as the Hi-Lites Club President for most of the years he was a member and still served in that role until 2015 when he turned the reigns over to our current, well qualified, President Ed Smith. Under Jack's direction, the club went from having meetings with 5 or 6, to meetings that had 25 or more. In 2014, Jack was one of two members that were inducted as lifetime members into the HI-Lites Motor Club. Hi-Lites will be forever grateful for the leadership and direction Jack gave us. We will in his memory continue to promote his love of cars along with fun for all ages. Enjoy your cruising in the sky my friend and thank you for the memories.